Service Today has been serving Glenelg households for many years and we pride ourselves on rendering an unmatched service to all of our customers. When an electrical emergency strikes you, there is no time to think, right away call our professional electrician in Glenelg to fix any electrical issue you might face. Indeed, if you’ve got a defective switchboard or unsafe wiring, you’ll certainly want to ensure that it gets inspected by reliable electricians that are fully insured and certified at the earliest. For a professional service with an unmatched turnaround time, give a call to Service Today on 1300 859 383 during any time of the day or night. Until your problem has been attended to and solved, we won’t rest. Being local electricians in Glenelg, we can provide a fast response and service and solve your electrical issue swiftly and efficiently. Our qualified and experienced electricians are fully insured and licensed, and they complete the job with quality workmanship. For this reason, Service Today confidently stands behind its work. 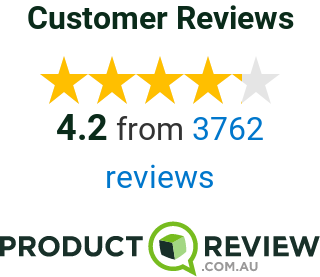 Due to our prompt and friendly customer care, quick professional service, safe electrical solutions as well as affordable and upfront pricing per job, we’re trusted as Number One electrical contractor by Glenelg locals. We’re known for our 24/7 rapid response for any kind or electrical services in Adelaide. Our electricians will attend to your electrical emergency regardless of the time or day, be it day or night. Your problem is our priority. If you need a licensed Glenelg Electrician to handle any of your electrical emergencies listed above or any other electrical issue, which you might confront, immediately give a call to Service Today on 1300 859 383 We’re always here to assist you and there’s no electrical issue we can’t attend.